Search locations from around the world to find your ideal cruising area. Select the crewed yacht type that best suits your cruising style. Inquire with the choice of the preferred charter yachts. The BoatsAtSea.com portfolio offers more than 1100 crewed charter yachts. Professional crews cater to all your wishes. Whether you prefer a small sailing boat, comfortable catamaran, or luxurious motor yacht, we can create the most amazing yachting experience for you. Our unique search engine capabilities allow to quickly finding the ideal yacht. Using BoatsAtSea.com, your search is not limited to only locations and boat sizes. Additional filters let you choose specific days or date ranges, budgets in multiple currencies, scuba diving and other amenities. Once you find the yachts that interest you, send us an inquiry. We will reply promptly with customized offers for your desired itinerary. The yacht charter vacation proposal provided will be tailor-made to match your interests. Or let us know what you are looking for and our yacht charter experts will do the searching for you. Check out our top offers for the beautiful Virgin Islands. 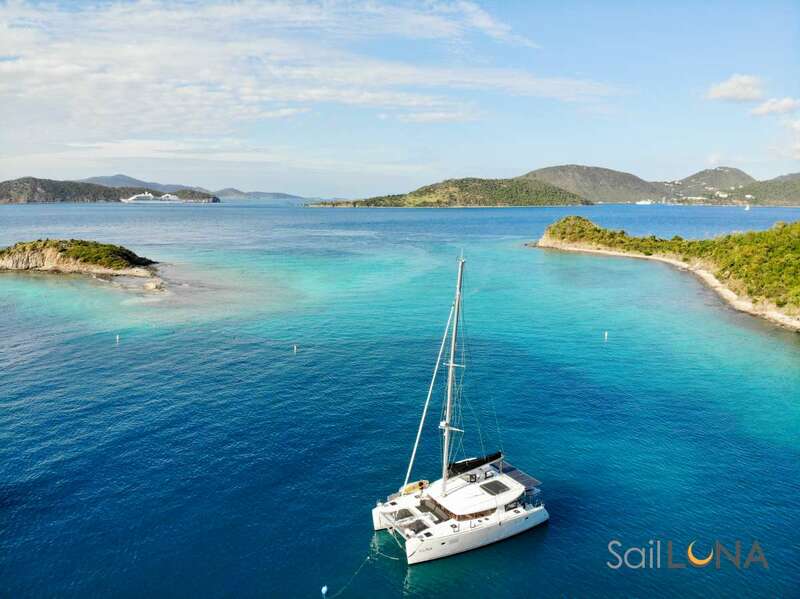 With over 300 yachts in the Virgin Islands we have a wide range of options available to you. If you need any help in choosing the right yacht for you, just make an inquiry for a yacht you like or contact us and indicate what you are looking for. Our charter experts will help you make your dream vacation in the Virgin Islands come true. They have travelled the Virgin Islands many times and visit the USVI Charter Yacht Show and the BVI Charter Yacht Show yearly, so they know most of the yachts and crew first hand. Start your dream vacation now! With more than 25 years of experience in the crewed charter yacht industry, the numbers of returning customers that maintain confidence in our expertise and services, speak for our motto: Your Vacation is our Dedication! Nothing is impossible, enjoy and experience our dedicated, personal knowledge-based concierge service. We are here to help you with all the important details to make sure you have the most perfect yachting vacation possible. With our dedicated support you benefit to be at ease while you travel to your boating vacation, we are on your side until you ultimately step aboard your charter yacht. Contact us to find out why thousands of charter yacht clients have used our services, and why so many repeat guests come back for all their boating experiences.